If you don’t make payments on time or stay within your credit limit, you’ll pay extra charges and getting credit in the future may be more expensive and difficult. 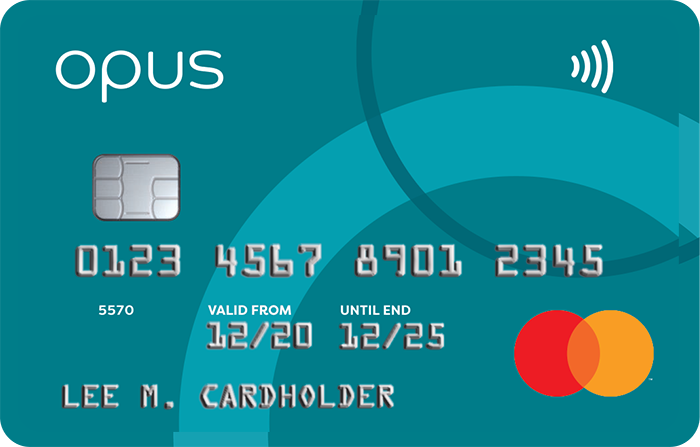 When only cash will do, a money transfer is the smart way to access cash from your opus credit card. It’s quick and easy to arrange. And it can be cheaper than taking money out from a cash machine. We know what life’s like. So we’ve created a credit card that helps you manage yours. From money transfers to text reminders that help you stay on track, we’re here to keep you moving from one day to the next. At opus, we’re all about keeping things simple. Find out more about what makes us tick. Checked eligibility? Ready to go? It’s quick and easy to apply for an opus card. Apply now and get a response in minutes. We’re here to help you stay on track. So we won’t offer you more than we think you can afford. If you need to, you can change the date your card repayments are due, up to three times a year. Find out if you’re likely to be approved or declined, before you apply. And using our FastCheck tool won’t harm your credit rating. We‘ll send you a text alert when your next payment is due. Or if you go over your credit limit.